Traces the rise and fall of the church's fortunes through the "thousand years of uncertainty," from the time when barbarian and Arab invasions toppled the power of Rome, to Christendom's loss of Constantinople and the subsequent opening of a new age of discovery and learning. Includes quotations from original sources as well as detailed maps, charts, and photographs of contemporary Christian life. 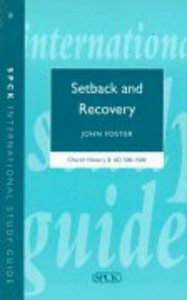 About "Church History Ad 500-1500 #02: Setback and Recovery (International Study Guide Series)"